Much too often, Chicago neighborhoods get stuck with a bad pieces of architecture. 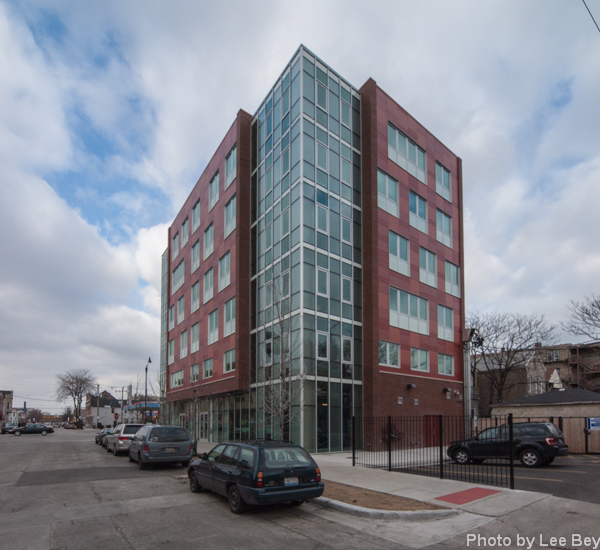 So it is worth celebrating when good design occurs in the community, as is the case with La Casa Student Housing and Resource Center, a college dorm that opened last fall in the Pilsen neighborhood. The six-story building at 18th and Paulina cuts a tall, graceful figure along 18th, with masonry exterior walls that pull back—and up—to reveal glassy corners and a base.The building hits the right note in the historic neighborhood by using heft and masonry of its older neighbors, then reworking the elements into a contemporary form. Designed for Chicago college students who want to stay close to home, the $12 million building is the brainchild of The Resurrection Project. La Casa has 25 four-bedroom suites and amenities such as a fitness center, tutors and on-site counseling. 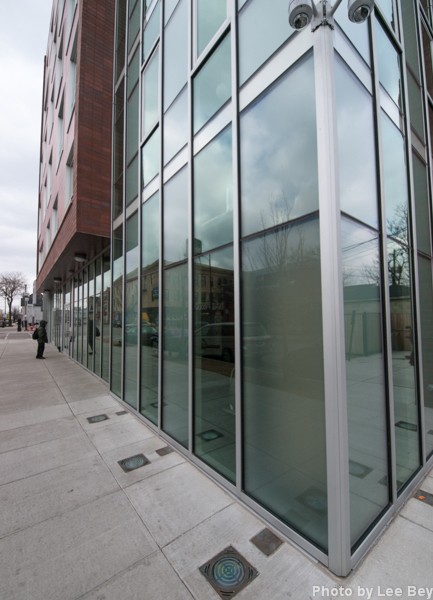 The building’s purpose and program have garnered it early acclaim, including a New York Times profile. And now its design is getting notice. La Casa’s architecture earned the Richard Driehaus Foundation Award for Architectural Excellence in Community Design at the Chicago Neighborhood Development Awards held at the Chicago Hilton & Towers last Wednesday. 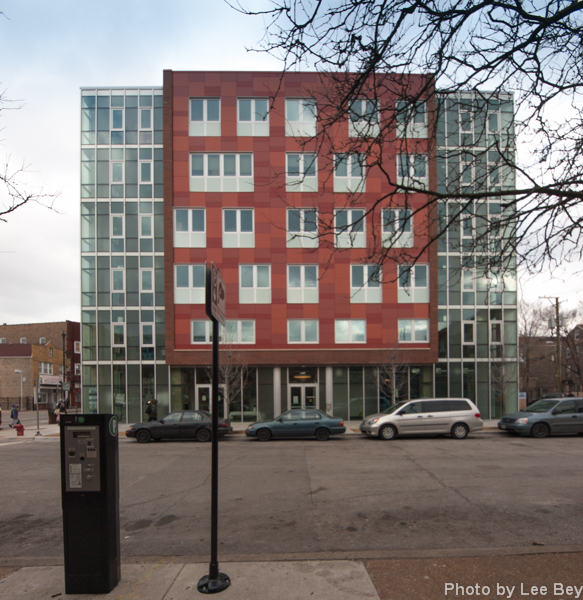 La Casa was designed by UrbanWorks, a Chicago architecture firm that’s been on a pretty good tear lately, particularly with an UNO school in Galewood and Roseland’s All Saints Residence home for seniors.